Even Hugh Jackman was shocked by the surprise Big Bad villain in Logan, and he recently offered a closer look at how X-24 came together. Spoilers about the ultimate fate of Logan’s James Howlett and his mindless clone lie ahead. Hugh Jackman revealed in an interview with Collider that he was initially skeptical of playing both the aging Logan and the villainous, mindless clone of Wolverine in his prime, X-24. Though Jackman appreciated the “externalization” of Logan’s conflict with himself, he was worried that showing a more badass version of Wolverine might confuse fans, especially if the characters looked so similar. The hero of Logan didn’t look like the classic Wolverine that fans remembered, but neither did X-24. The trick was in the subtle details. X-24 was made to look different enough, mainly through the use of a radically different haircut, beard, clothing and other cosmetic features. “We did some subtle things,” explained Jackman. “I changed the bridge of my nose, I wore contacts — I just wanted him to look a little different from myself.” And look different he did. Stunt double Eddie Davenport played a stand-in for X-24 during some fight scenes. In Logan, Hugh Jackman is well over 200 years old and both his age and many decades worth of hard metal poisoning and scarring are beginning to show. 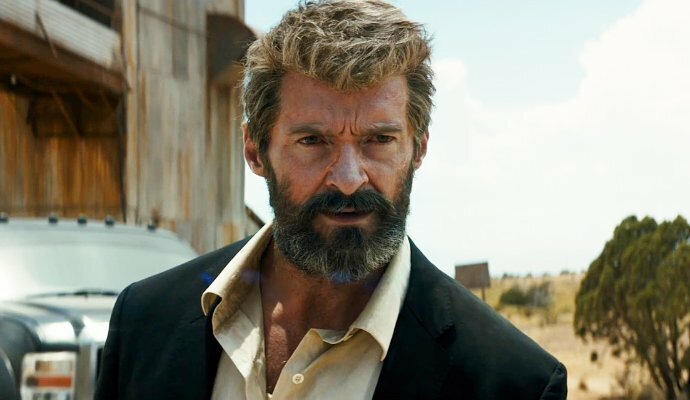 Though he gets one run at a fan-pleasing, rage-fueled rampage by using drugs, Logan is an old man that largely coughs and grumbles his way through the movie. The hero of 'Logan' isn't the Wolverine fans remember. If X-24 was the “full berserker animalistic crazy Wolverine” that fans wanted, then Jackman was worried fans would like him more. The Logan Blu-ray will be released on May 23, 2017, which includes a Logan Noir black-and-white edition of the movie.